It's Friday and the first of two Islay-themed weeks here on the mission are done. See you Monday. 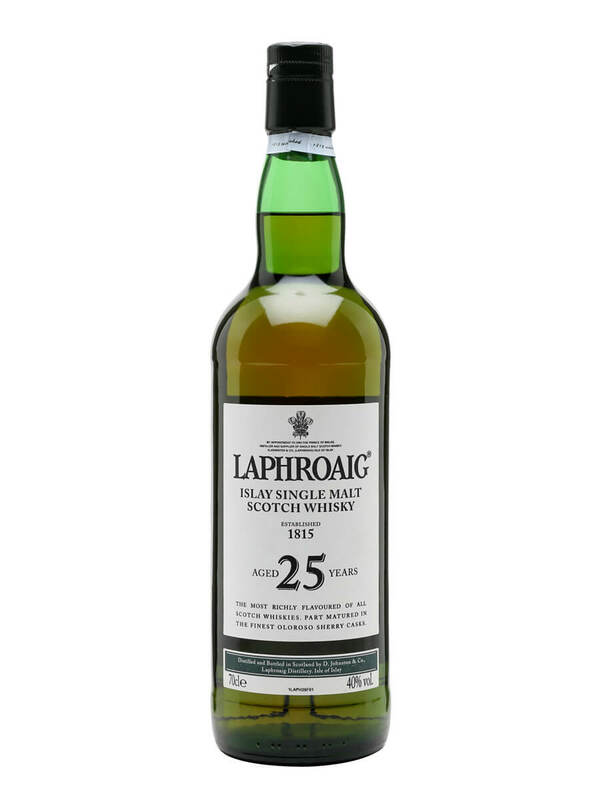 A vatting of Laphroaig matured in its usual ex-bourbon casks AND some ex-Oloroso sherry casks, this Laphroaig 25yo is a new release that stirred up a good deal of excitement among whisky fans when rumours of its imminent arrival began early last summer. Unfortunately, I think it's reception suffered a bit from the build-up. Phrases like "weak", "not much happening" have been used to describe this whisky. People, please don't take any one person's opinion as gospel, even those who name their works after holy books. Use tasting notes as guides, not final words. Your whisky journey is YOUR whisky journey. That being said here are my reactions to this whisky. For more distillery info or to see other Laphroaigs had on the mission click HERE. Elegant bourbon sweetness with age apparent. Marzipan and menthol. Tins of tropical fruits, pears, berries and churned butter creaminess. Partsy. Toffee. Some sea brininess and some prawn/shrimp. Smoke lingers below, acting like a mattress for the other flavours to jump on. Boing! Custard and wood fires. Spicy apple, horse feed, chicken-flavour crisps, big vanillas as a part of a slowly drying oakiness. Candied finish that will surprise Laphroaig drinkers with oak and a dribble of iodine. Could benefit from an abv% boost, especially on the palate but it is almost unreal how generous it is on the nose. I sat with this for along long time and the nose was constantly provocative. Ever-giving whisky that unfortunately under-performs slightly on the palate. Pleasant, unusual and unique finish for a Laphroaig.